FounderTraction was born when Yolanda Fintschenko and Brad Oliver met at a local co-working space and collaborated on a project. One project led to two, which then led to three, and so on. We’ve now helped many companies develop and implement digital and marketing strategies, define and launch their brand and products and measure their efforts and success. Our primary task is to listen. Doing so allows us to develop a thorough understanding of your needs and the needs of your customers. Data should support your business decisions. Whether it’s your hypothesis, content, campaign or design, our objective is to help you test, learn and tune your approach for optimal results. It’s not adequate for us to only make recommendations, we educate and inform so that you understand the reasoning behind them. We’re not afraid of feedback and criticism; it is not only welcome, but it’s also essential to the success of your project. We support our solutions with research and data, not personal preferences or opinions. We’ve based our business on our personal beliefs; honesty, integrity and a desire to impact our client’s business. One size does not fit all; every business or market requires a unique set of solutions and tools. The best solution(s) are holistic and integrate strategy, design, content, and data. Talk is cheap; results drive growth. 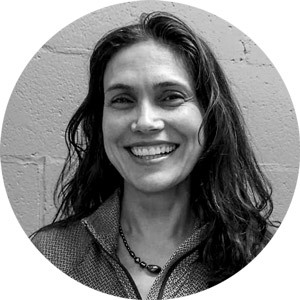 Yolanda is a scientist, writer, marketer, and avid runner who lives and works in Livermore, CA. Yolanda started out in the field of lab-on-a-chip at Sandia National Labs. After having to transfer technology to industry, she moved to industry to build an international marketing team of scientists to exert technical influence in the field of food safety for Thermo Fisher Scientific. She took that expertise to Labsmith to run marketing and sales. At a small company, she discovered the significance of digital tools to amplify word-of-mouth, and is now a passionate advocate of a holistic digital marketing approach tailored to technical products and markets. 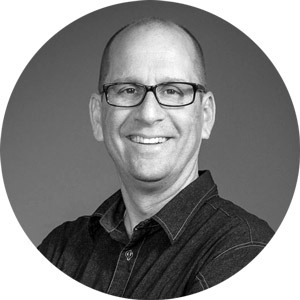 Brad started in web design in the late 90’s and then went on to Software Engineering, Product Management and IT roles at several startups and established companies. In all of his experience, he has endeavored to solve problems by designing, building and deploying technologies that help businesses achieve their goals and delight their customers. In 2014 Brad put the corporate world behind him and stuck out on his own, going back to his design roots in the process. He is a geek at heart and has a passion for design, technology, photography and fine whiskeys. Originally from the East Coast of the US, Brad has called the San Francisco area home for the past 18 years.